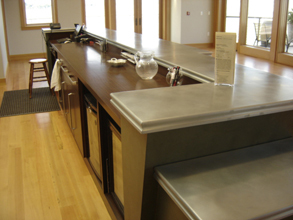 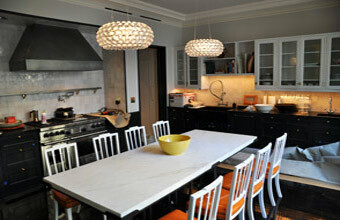 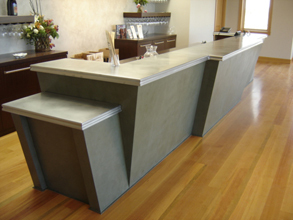 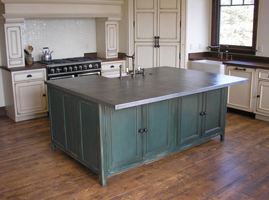 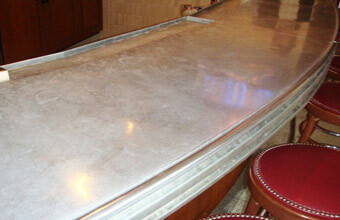 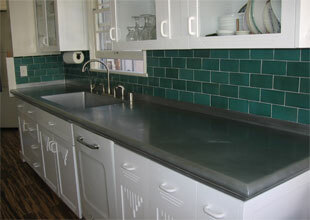 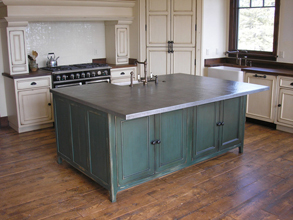 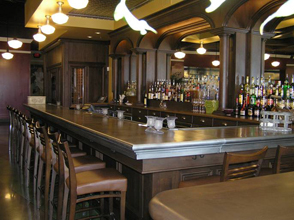 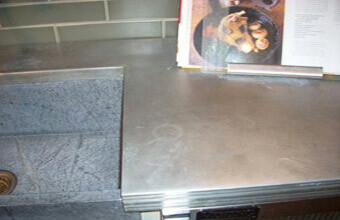 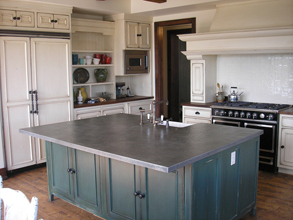 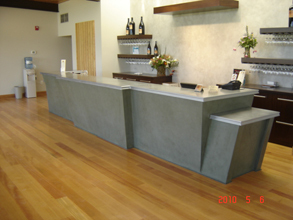 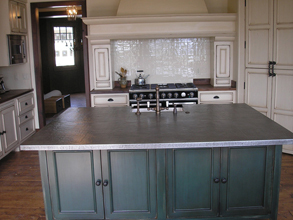 Custom Countertops - #4190 | Handcrafted Metal Inc. 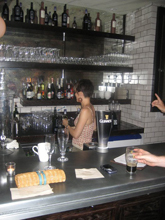 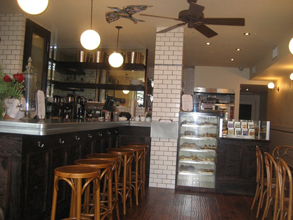 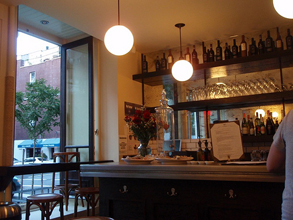 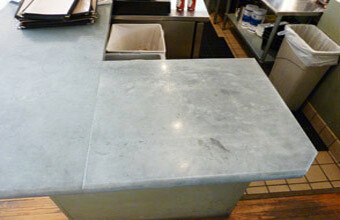 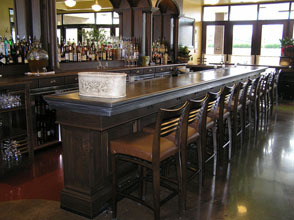 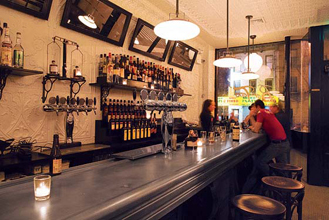 The extended front of this counter top is especially prominent, jutting out 5". 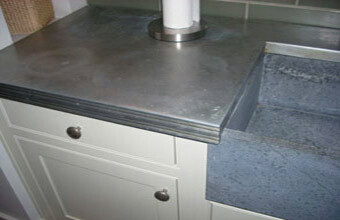 We templated the undermount sink to capture the shape for the 4-sided framed opening. 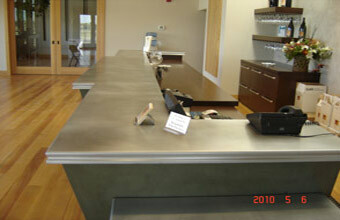 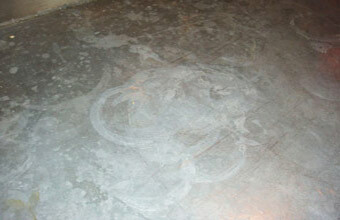 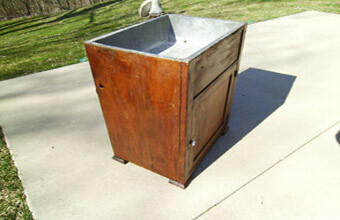 The entire piece is made from smooth 16 gauge welded zinc, and has a Natural finish with wax.